Our mission is to empower students to improve their lives by enhancing their professional skills in order to better their careers. In support of this mission, the College is innovative in its curricula, job-intensive in its focus, and responsive to employers’ needs. The training provided at Cosmetica Beauty and Barbering Academy prepares graduates to obtain entry-level positions in their chosen field. Graduates leave with the skills necessary to become successful in their careers. Our concern for our students will always have top priority. Since 1987 she has acquired knowledge in the science and art of beauty. 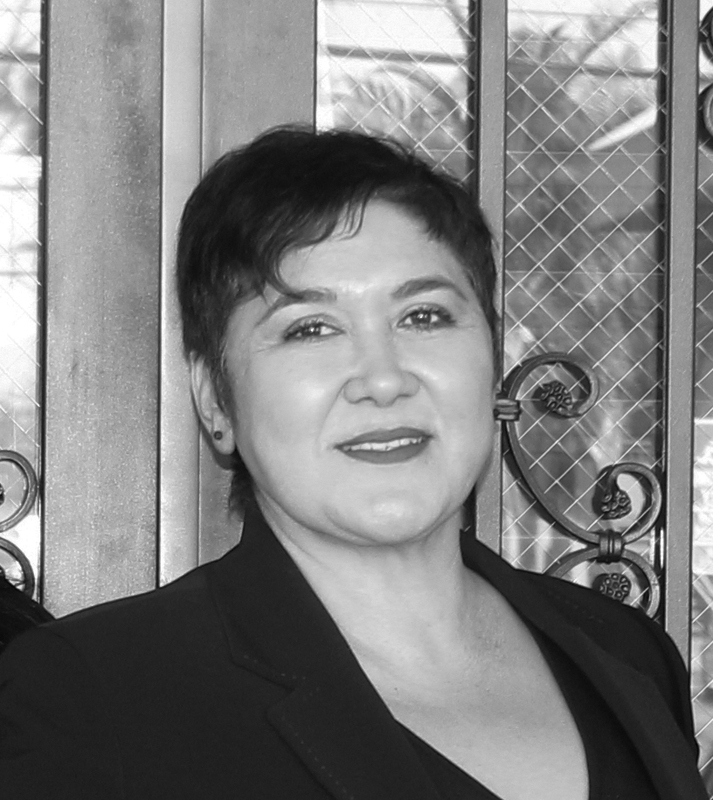 In 1991 she acquired her license as a professional cosmetologist. She is a trailblazer in the business of beauty. In 1992 she saw the need for a union amongst the Spanish speaking stylist and business owners in the industry. This lead to the creation of the first non-profit association for latino stylists in California. The entire association now boasts more than 10,000 members that work towards the growth of both professionals and businesses. Qualified educators and student support staff. Courses that reflect the needs of the professional communities served. Teaching techniques that communicate career theory and skills. Programs in career fields with the best employment opportunities. A close relationship with potential and current employers of graduates. Reliable job placement assistance to our graduates. Cosmetica Beauty and Barbering Academy is located at 9050 Telegraph Rd. Suite 101 and 201 Downey, CA. The City of Downey is the heart of Los Angeles County, located approximately 15 miles south-east of Downtown Los Angeles, CA, The Institution is readily accessible by the 5/605/710 FWYS and is accessible from the many surrounding areas. 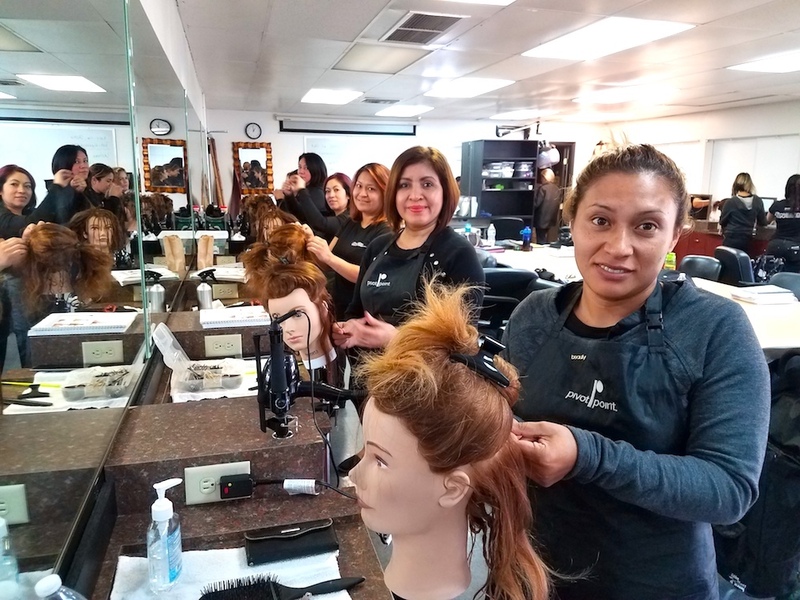 Classrooms for each program of study at Cosmetica Beauty and Barbering Academy contain equipment and supplies sufficient to meet the needs of the course of the students. Cosmetica Beauty and Barbering Academy is a well-designed building that assimilates the salon environment for the sole purpose of beauty education; equipped with the most modern visual and teaching aids, possessing the type of professional beauty equipment in keeping with top salons in America. 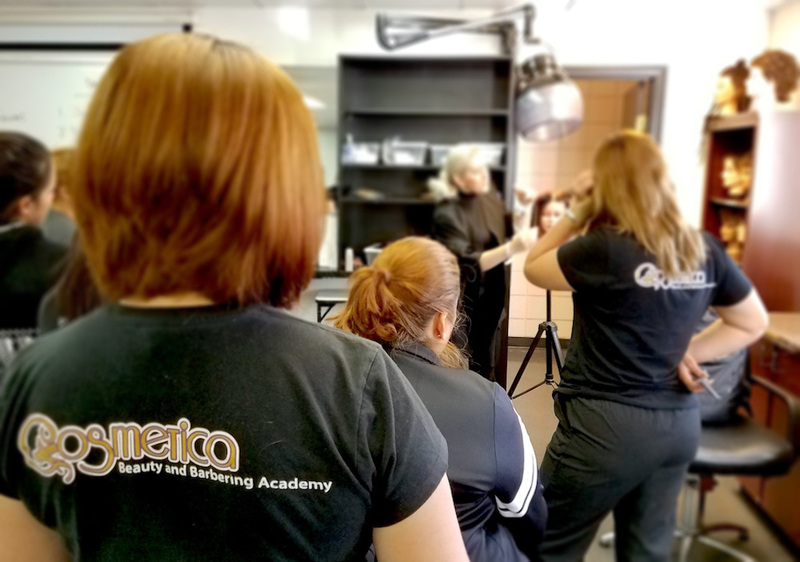 Cosmetica Beauty and Barbering Academy has at least 4,800 square feet of modern facilities devoted to teaching the science and arts of the Beauty Industry. The facilities include a freshman classroom area for lectures and practical training and an audio/visual center that can handle videotapes and blackboard demonstrations. 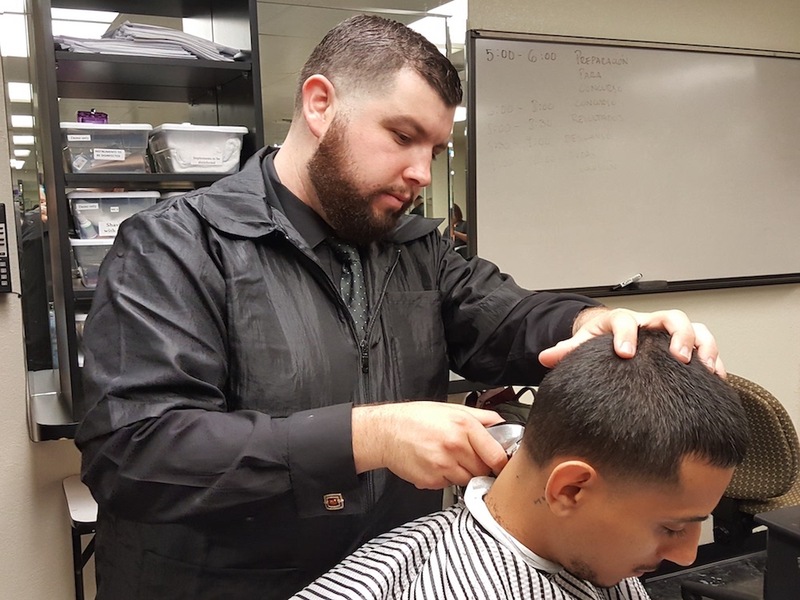 Cosmetica Beauty and Barbering Academy has extensive shampoo facilities and chair hair dryers and blow dryer stations in addition to the workstations provided for each student. A reference library is maintained and administrative and counseling offices are on-site. Cosmetica Beauty and Barbering Academy provides restrooms and break room areas. The building is equipped with heating and air conditioning systems, well lit and furnished in a highly professional manner. It is free from distracting noises. Entrances and exits are located so that the building can be cleared quickly and safely in an emergency. The Institution’s premises are wheelchair accessible (i.e., doorways, restrooms, ramps). There are several restaurants located less than one-half block away from the Institution, in the same shopping center and across of it. Equipment for each program of study. The instructional classrooms for all courses contain equipment designed to assist the student learning to become an integral member for the business world. 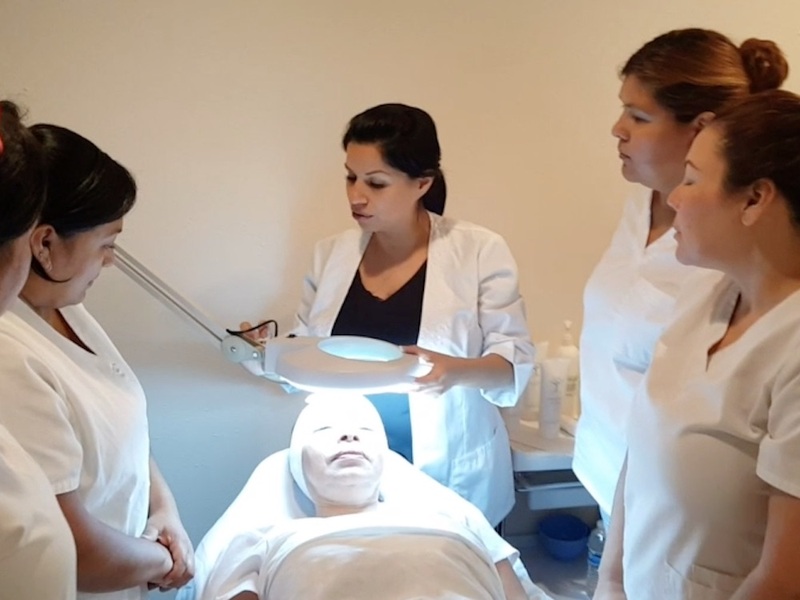 Equipment includes: Dermal lights for giving instruction in skin care and electrical facials, mannequins, time clocks, shampoo bowls, dryers, facial chairs/couches, manicure stations, electrical cap and thermal hair strengtheners, etc. The reference library, which consists of appropriate texts and reference books to assist in each program of study. Student may request any items from the Library by checking out those items. Other learning resources are available at the school’s office, such as books, videos, internet access to information, etc.